Jame Dimon — shocker — turns out not to be a fan of the Green New Deal. Dimon should know a thing or two about that. A new report from several environmental groups, including the Rainforest Action Network, found that JPMorgan has become the world’s leading financer of the fossil fuel industry. Add that to the long list of predatory practices we’ve seen from Dimon’s bank, everything from wage theft to runaway CEO pay. 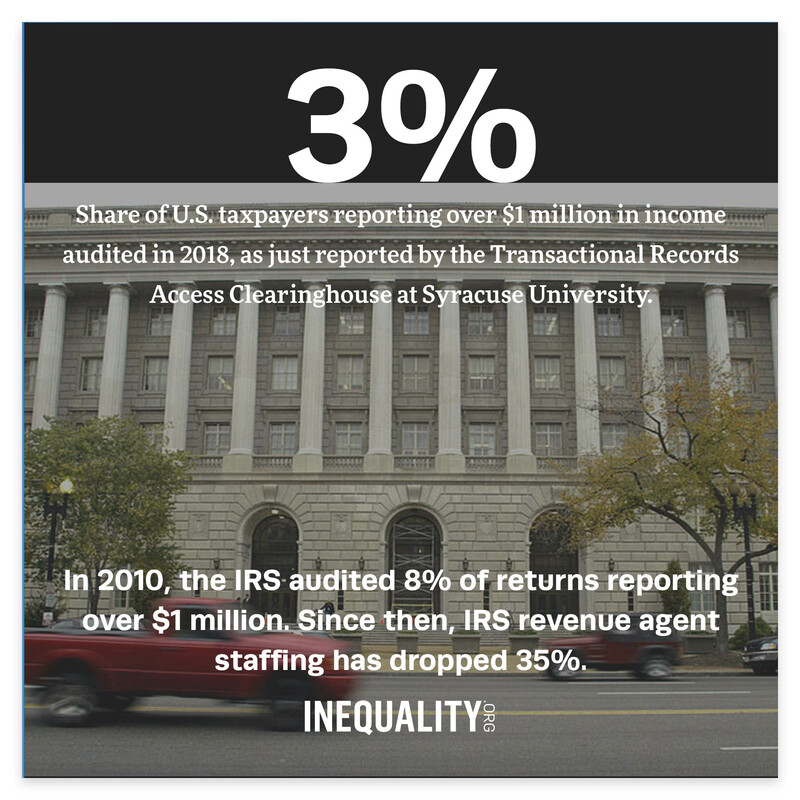 These practices fuel our inequality and erode our economy. And, in Dimon’s own words, that hurts everybody. 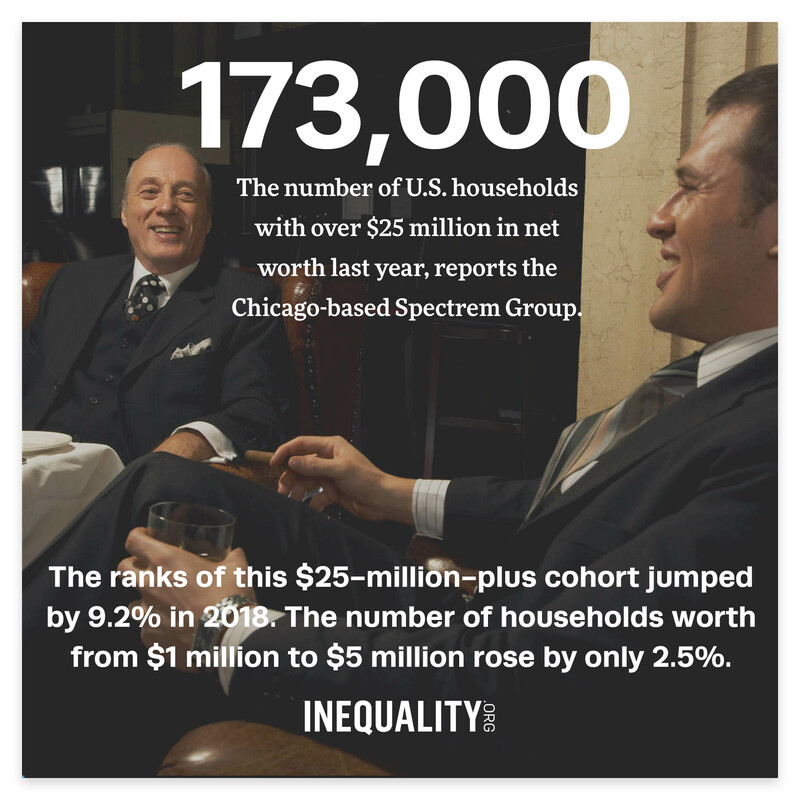 More on our plutocrats and the struggle against them in this week’s issue. 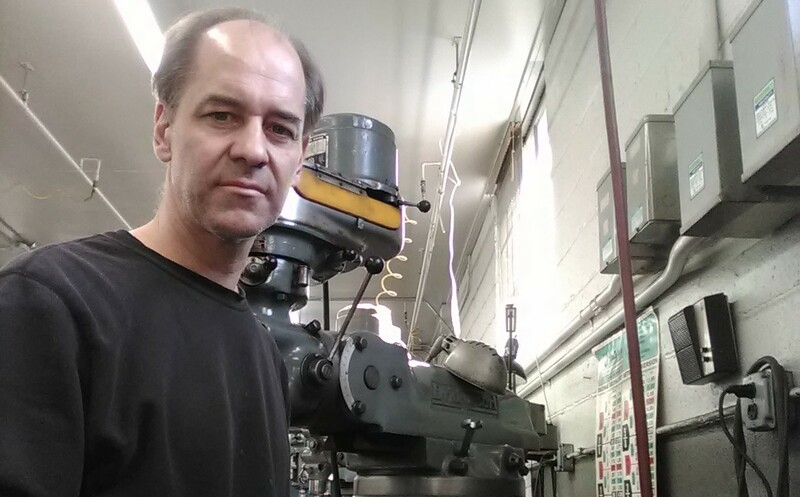 Daniel Wasik works as a machinist and lives in a small New Jersey town. He grew up in Canton, Ohio. He became alarmed about growing U.S. inequality and started to write songs about it, including Who Has to Wonder. In January, he wrote a letter to The New York Times about lack of respect for the working class. Wasik spoke with Chuck Collins about what motivates him. The biggest threat to peace and prosperity in New York? 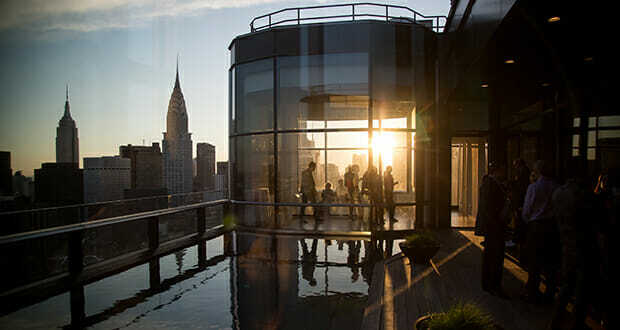 Donna Olshan, the top exec at a Manhattan luxury real estate brokerage, is pointing fingers at a “pied-à-terre” tax proposal now gaining momentum in the New York City Council. The tax would levy an extra annual $370,000 fee on the absentee owners of homes worth over $25 million. Olshan is calling the pending tax an act of “class war” that punishes the rich for being rich. Adds the high-end realtor: “This whole idea of get out the pitchfork and burn the palace down leads to bad decision-making.” Counters lawmaker Harvey Epstein, a supporter of the proposed tax: “We’re talking about the 1 percent of the 1 percent, and those folks can afford to make New York a better place.” Talk about the tax hasn’t yet shut down ultra-luxury condo sales in New York. Hedge fund magnate Steven Cohen just sold a West 12th Street unit he bought for $23.4 million in 2013 for $33.5 million. 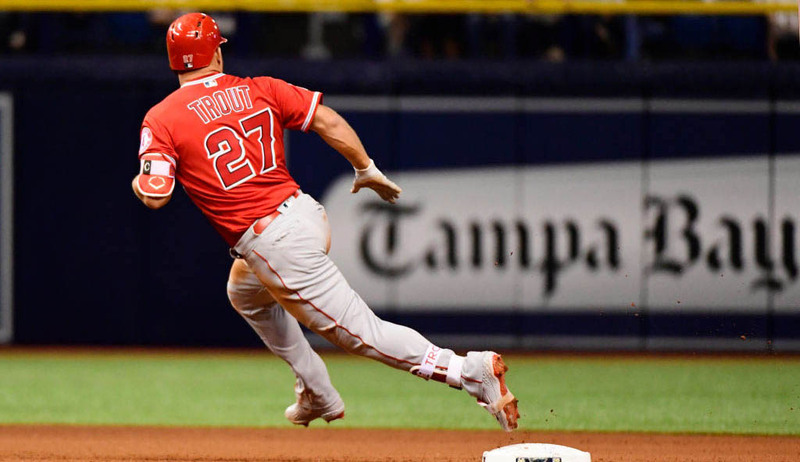 Star baseball outfielder Mike Trout has just signed the biggest pay deal in pro sports history, and no one may be happier than America’s staggeringly overpaid CEOs. Corporate chiefs — and those who sing their praises — love to see big paydays for big-time athletes. Inequality.org co-editor Sam Pizzigati, author of The Case for a Maximum Wage, explains why. Basav Sen, A Handout for Uber and Lyft Is No Replacement for Public Transit. Transportation networks have resisted regulations on worker rights, traffic safety, and the environment. We shouldn’t subsidize them. Jeremy Brecher, The Green New Deal: A Strategy for a More Equal United States. A Labor Network for Sustainability activist lays out how mobilizing to protect our planet could help us build an economy that works for all working people. Jessicah Pierre, The Real College Admissions Scandal. Wealthy families have rigged college admissions for generations, but they want you to blame affirmative action. Bob Lord, America’s Concentrated Wealth: Have We Finally Reached a Tipping Point? The scary arithmetic of grand fortune is shrinking our household nest-eggs. Negin Owliaei, Meet the Billionaires Profiting off Job Losses at GM. Hedge fund heads buy up mansions and NFL teams, all on the tab of autoworkers. 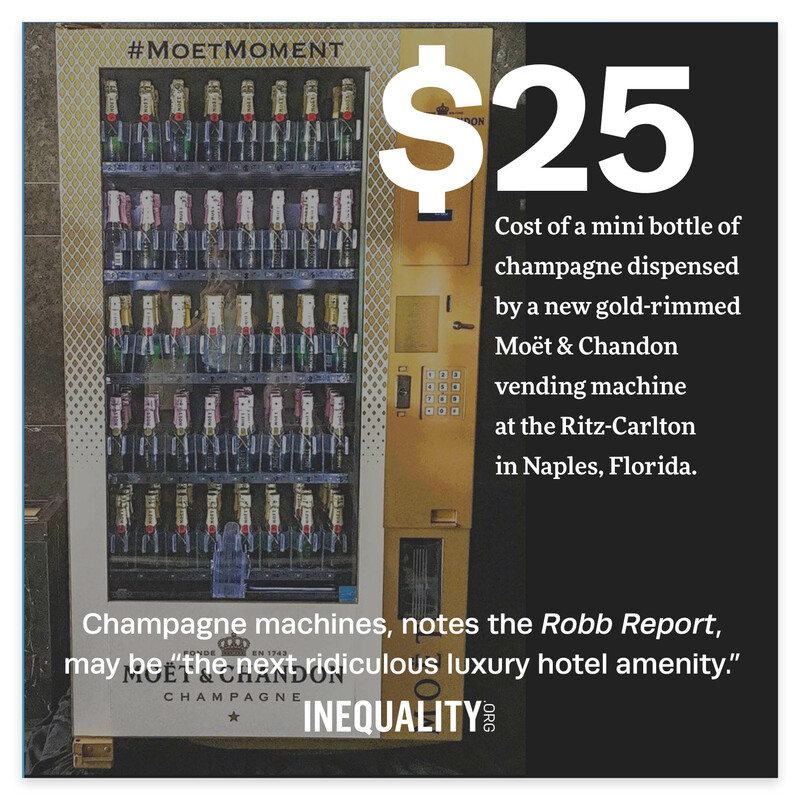 Steven Pressman, Consequences of Inequality Will Strike Everyone Indiscriminately, GlobePost. A survey that traces the economic, social, and political impact of our growing divides. Julian Vasquez Heilig, The Real Scandal Over Buying an Education, Progressive. Conservative pols claim money doesn’t matter for educational success. In practice, states spend less on poor and minority students while the wealthy enjoy much better-funded schools. Dean Baker, Trillion-Dollar Wall Street Bailouts, Bernie Sanders, and the Washington Post, Beat the Press. Debunking the narrative Big-Bank America so wants us to believe. Thom Hartman, What Republicans and Billionaires Really Mean When They Talk About ‘Freedom,’ Naked Capitalism. We now have is an entire political party and a huge sector of the billionaire class seeing homelessness not as a problem, but as a symptom of a “free” society. Clifton Mark, Meritocracy doesn’t exist, and believing it does is bad for you, Fast Company. 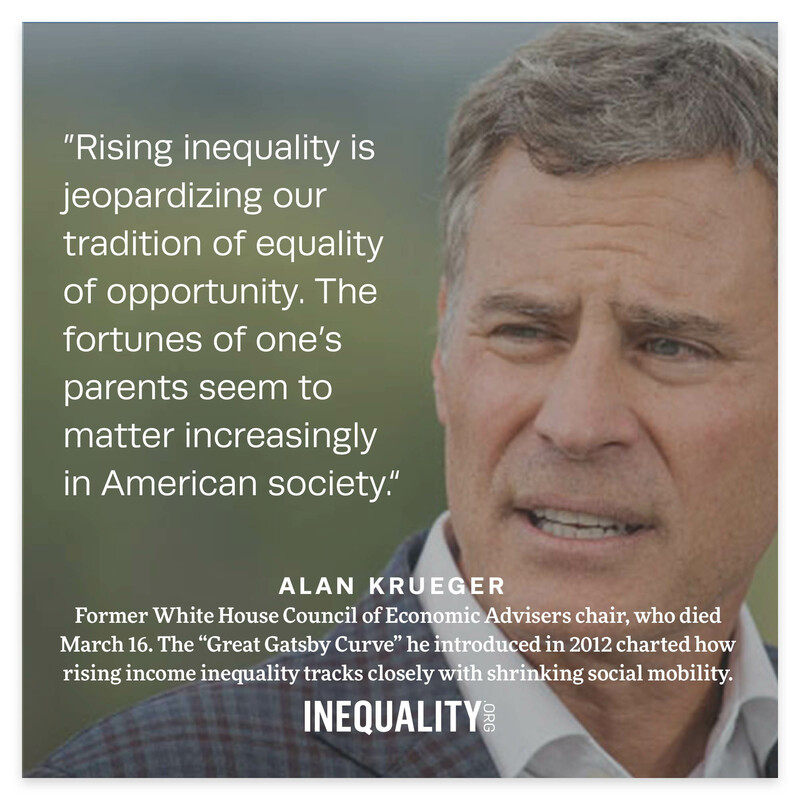 Believing in meritocracy — the most common go-to justification for wildly unequal rewards — seems to promote discriminatory behavior. Bob Lord, There’s Plenty of Wealth to Go Around — It Just Doesn’t, OtherWords. Dividing today’s $100 trillion U.S. economic pie evenly among its 125 million households would give each one an $800,000 slice.